One of my greatest influences in my life was my grandma, Hazel Robinson. I began cake decorating when I was 13 and by the time I was 17 I graduated from The Wilton School of Cake Decorating. After graduation from N. Ridgeville HS, I obtained an Associate’s Degree in the Occupational Science of Baking and Pastry Arts from Johnson & Wales College in Providence, RI. After college, I relocated to Philadelphia, PA, to apprentice with Master Pastry Chef Gunter Heiland at Desserts International, Inc. 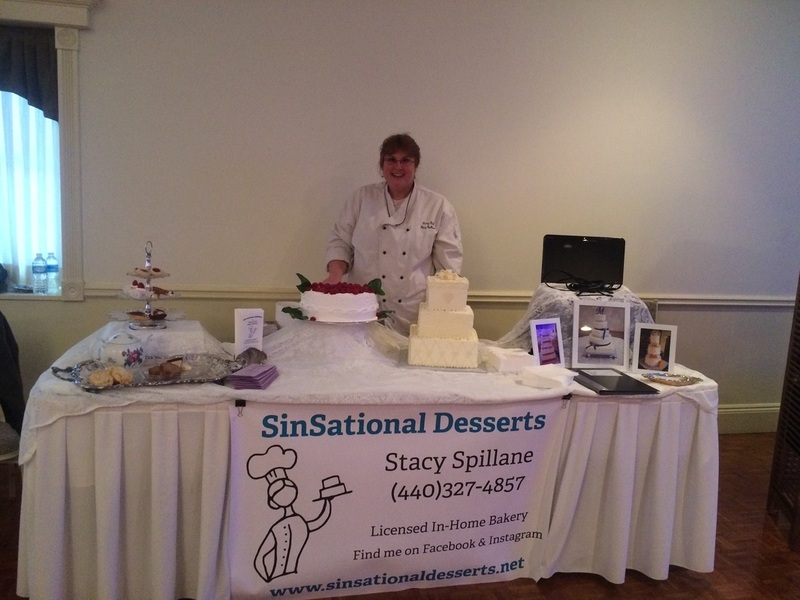 I have had the pleasure of creating desserts in some of Cleveland’s finest establishments, such as, The Ritz Carlton, David’s Gourmet Catering and Grand Finale, to name a few. I have taught for The Loretta Paganini School of Cooking, SS Kemp and Sur La Table. I took some time off to raise my kids but now that they are adults it's time for mom to go "back to work". If you are interested in accenting your next celebration with desserts that taste “SinSational” or if you would like to learn how to create incredible desserts, give me a call. I look forward to being a part of you special occasion!